This is a late blog from the sideline for Thursday last week. I have not been operative this sprint, since I have decided to focus on my health and well-being and will have a sabbatical/retreat until August. However, I will still be available on the strategic level and help ferry our organism unto its potential. A short reflection upon not being active this sprint is that I felt a slight abstinence of all the good state work we had gotten into our bones. I noticed that I felt an urge to have the start of the day with a qi-gong/meditation/yoga... To "only" work 6 hours and long for it... and to have the warmth of colleagues to share the day (as a consultant I know it is a hell of a difference to work for, than to work with)... and the pleasure of the flow-like high performance from focused sprints... This I take with me on my healing journey for myself. This Thursday we had a workshop and a Demo planned for the day. The theme for the WS is our Brand Platform and Johan H had done a good work in preparing the two parts; The condensation of what Evolute is in terms of a brand and second half the graphic representation of Evolute. We were all but Emil represented at the start (Emil joined after lunch), so the whole team were present - Anders and Morten on Skype and the rest of the gang in the room. A short kria yoga and off we went for the first part with the Brand - Johan H walked us through his compilation from what he had gathered so far of what Evolute is - and it was cool to hear what came out. The form is getting sharper and sharper! The Brand is now condensed in 5 headings and we will take the next step by making this available for our first circle to see what we get back. Good work Johan H! ...Thank you all guys for a rich and productive day! Hello again blog! Forgot to write last week, so i'll try to make it longer this week instead! This sprint I have been focusing on creating a Mindmap view for our forum. The way I see it this will be perhaps our gratest distinction from Loomio, so it's important it works well. In the begining of the sprint I spent some time thinking about what the mindmap should look like, and how it should work, how to implement it and what its good for anyway? I remembered a conversation with Johan, where he mentioned that sometimes, the biggest obstacle between two persons in a discussion may not be that they disagree on ideas, but rather on how to express the same idea. This memory connected with my thoughts about the mindmap and brought forth a new idea, to which I think at least part of the logic behind the mindmap can be re-used. My idea was that while reading a discussion, users should have the option to start a sub-discussion on any answer to the original discussion. As such, disputes on mere formulations would have a own, isolated space to take place, and thus would not take up space in the original discussion, where discussion should be focused on different ideas, instead of different formulations of the same idea. But, this idea is for the future, no time to make all these functions in one sprint only, I had to fokus on the mindmap itself! Not such a easy task it would turn out. At first, I thought I'd just place normal blocks of text on the page, but then it would be nice to dra lines between the blocks to show relations between different topics. Therefore, I turned to Canvas, the new-for-HTML5 drawing-tool. Made it through a few tutorials on the basics of canvas (As I have never worked with it before) and then found a bunch of libraries to help with all sorts of animations. This is where things got tricky the first time. There are shed-loads of canvas libraries out there,and a lot of them are probably great. The problem I found is that most of them are focused on making in-browser games, and as such are a lot more complicated then needed for a "simple" mindmap. Took me a while, but then I finnaly found not one but two libraries doing nothing but mindmaps. Now to learn one of these libraries. actually, what I ended up learning was somehting else entirely. I learned that, the availability, completeness and level of difficultyto understand the documentation of any library is at least, and probably more, important than the library's being fit for the task at hand. You probably see where I'm going with this; being sick of reading half-finished explinations of functions I made a full turn, and decided to stick with the good-old html-css-js combination. I'll worry about drawing lines later, for now i just want to place the items on a map! So I got to it, the upside here is, Angular seems to be able to do quite a lot for me, al I need to make is an algorithm to calculate where to place each item. Said and done! And now I just need to debug code dealing with 1 framework, instead of a framework and 1+ graphics-libraries. Someone once told me that one shouldt be so quick to look for ready solutions in programing. Quite often, understanding how to use a library can be much harder than solving the problem from scratch! I think that piece of wisdom sums up pretty neatly what I've learned in this sprint! Yesterday we had and important but a bit unstructured workshop on our offering, infographics and name. Johan T, Johan H, myself and a sleepy Daniel started the day with a wonderful Qi-gong outside in the sun! I think we're getting closer to a solid identity but some work still remains before we are there. "Evolute" is still the best name suggestion even though a suitable available URL is still lacking. Other suggestions are "Co-evolute" and "Co-space". I have created a amazon web services account and plan to have a Loomio production server up and running in this sprint. Some iS!-modifications on Loomio are also neccessary before we can start or first exploratory end-user tests. These were idenitified last week during a productive session with the codeveloper Caroline Görtz. I'm taking a mini-holiday now. Happy Easter everyone! It will be a busy next week. Start of yet another interesting week. Lots of stuff to do as usual and too little time with Easter coming up at the end of the week. 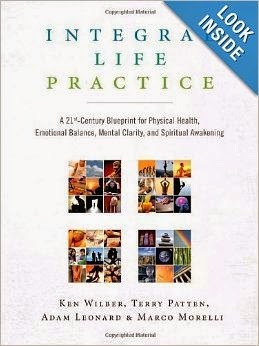 I'm really getting into self development practices with active state mgmt and learning goals. I'm currently training Ruby on codecademy, reading Integral Life Practice and studying Go. I feel calm and focused. These two days I've been working from my home in Malmö. It's quite nice, I can sleep longer in the mornings and grab food from the fridge when I'm hungry. It's also a bit lonely. Yesterday, I transfered the virtual machine to Anders. Hopefully he'll get Loomio running now. I also did a quick quality review on the translation to Swedish. There's also loads of emails to be written and phone calls to be answered, and meetings to synchronize, but today I managed to squeeze in a short Ruby practice on codecademy, which I enjoyed. I need to give some thought to how to really develop my skills and capacity. Suppose I do that tomorrow. We're ending the first of our epics. Two months have now passed and Johan T has decided to change role in the project and stepping out of the daily operations. These last couple of days have been very intense, because of the need to sum things up and plan forward. But now, by end of friday, I would say that we've reached what we've been aiming for and have a very clear plan ahead for most activities. Thank you Johan for your amazing effort and contribution to this project so far! Yesterday was a mad brainstorming workshop day. Today have been all about evaluating and understanding what we've done so far. 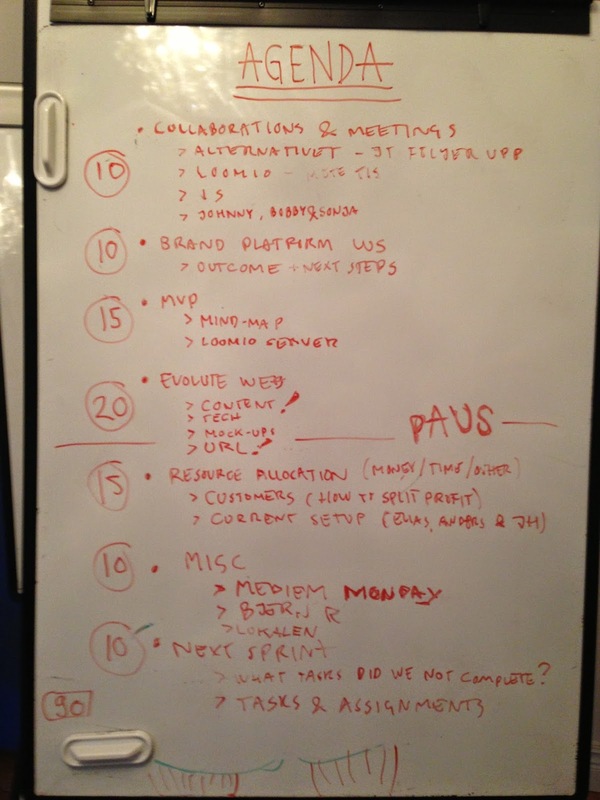 We have built something flexible and super-exciting, but there's lots and lots to be done in the upcoming weeks. Emil joined us for this mornings Kundalini Yoga exercise. Short and very effective! He also finished editing the youtube clip of Daniels iS-presentation which he held last tuesday. Watch it, it's really nice (and in Swedish)! We have a lot of sun now in our office and that makes the workday lighter and brighter. Another sunshine is the fact that I got Loomio up and running locally - looks very promising! Plus, we're almost finished translating it to Swedish. PS. Don't forget to contribute to Loomios crowdfunding campaign. Because real democracy needs to include everyone. Spread the word!